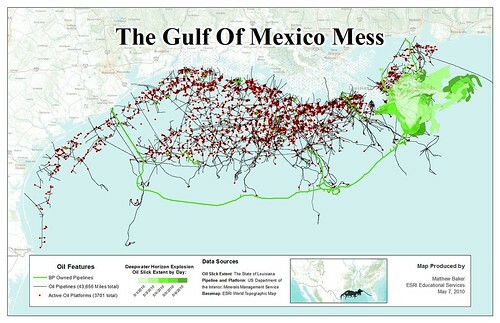 Matthew Baker sent me this great looking map and some good resources you can use to make your own maps to track the oil spill and oil infrastructure. Is anyone creating some mapping on their own tracking the spill and the response? Update: Looks like ESRI has a resource site up and running.